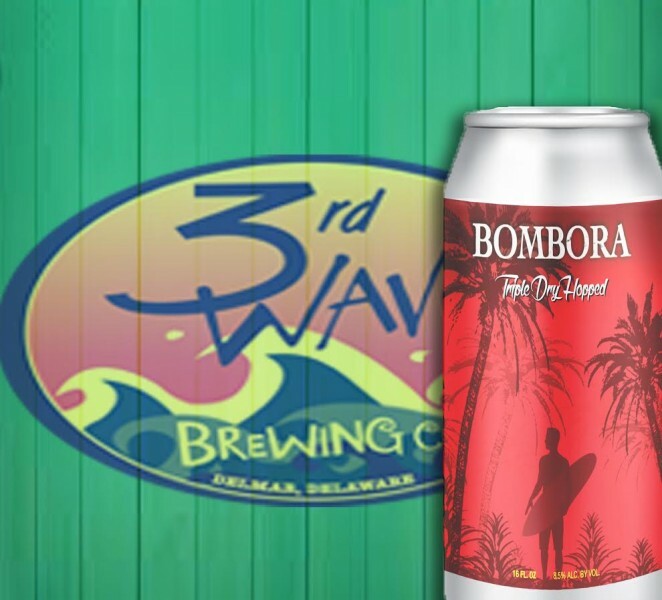 (Delmar, DE) – 3rd Wave Brewing will release its first 16-ounce can on June 24th. With the addition of a Wild Good Canning Line to the brewery in May, 3rd Wave has gained the ability to release a wide variety of package sizes. They will debut their 16-ounce cans with a variation of Bombora, their double IPA. Only 50 cases will be available. Bombora is 8.5% ABV and 87 IBUs. In contrast with their traditional Bombora recipe, the 16-ounce can will be dry hopped \with Simcoe and Citra Lupulin Powder. Warrior hops bitter the beer and Centennial and Cascade provide flavor and aroma. Cans will be released on June 24th at 10am at 3rd Wave Brewing in Delmar, Delaware. They are available while supplies last. 3rd Wave Brewing Co. was founded September 2012 in Delmar, Delaware. Co-owners Lori Clough and Suellen Vickers operate by the motto “Good Friends, Good Waves, Great Beer”. Their Tasting Room is open seven days a week and features 14 taps.